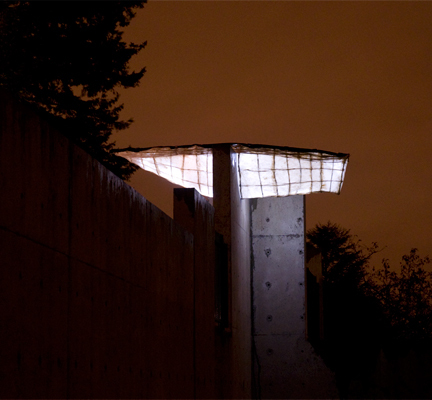 Navigate - Installation with a boat suspended on a concrete wall in memory of my father. Flying Boat - The boat is a universal symbol for transportation of the soul to the afterlife. Lit from the inside it seems to glide through the air. The Sails - Four sails printed with images of ashes falling in water, accompanied by the words, Embark, Journey, Navigate and Passage. 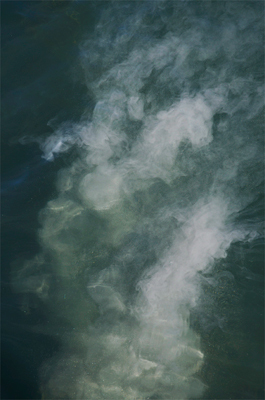 Ashes to Ashes - Photograph of cremated remains being released. Breath - Breath, our first and our last, each one in between precious. 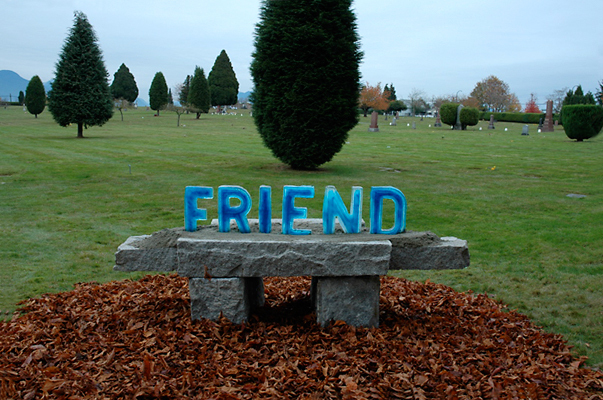 Ice letters installed in fountain, high winds, warm temps and rain made for a very ephemeral piece. 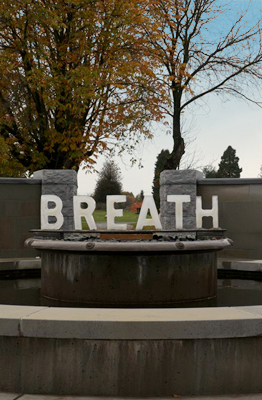 Breath, Day - Installed in the afternoon before the heavy rains and wind. Fountain turned off, hip waders needed. cold. 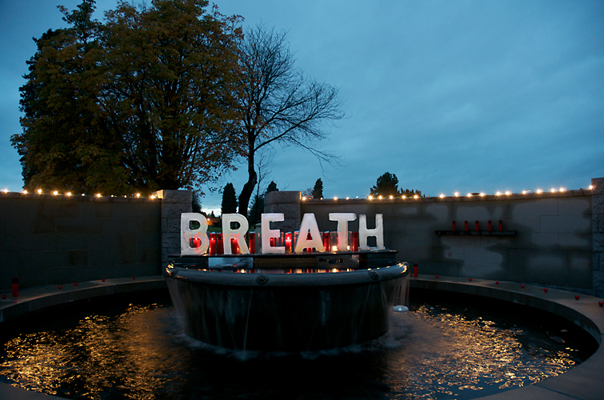 Breath, Day - Ice letters installed in the cemetery at dusk before the public arrived. Dedicated to a dear friend who lost his life in a hiking accident. 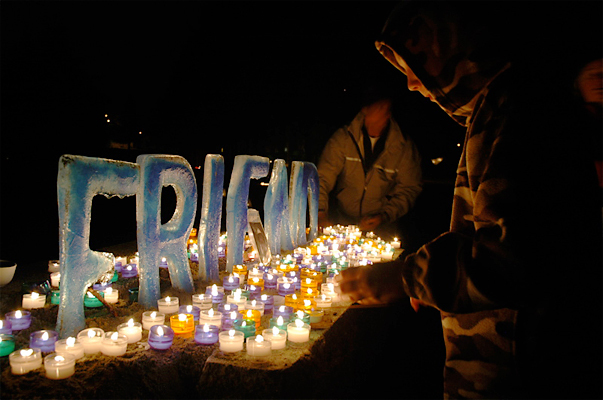 Remember - The letters melted during the course of the evening and the public was invited to light a candle in memory of their special friends whom they wanted to remember. 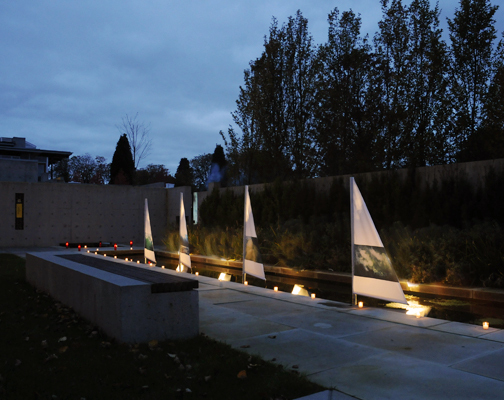 The Night for All Souls is an annual memorial celebration curated by Paula Jardine at the Mountain View Cemetery in Vancouver. 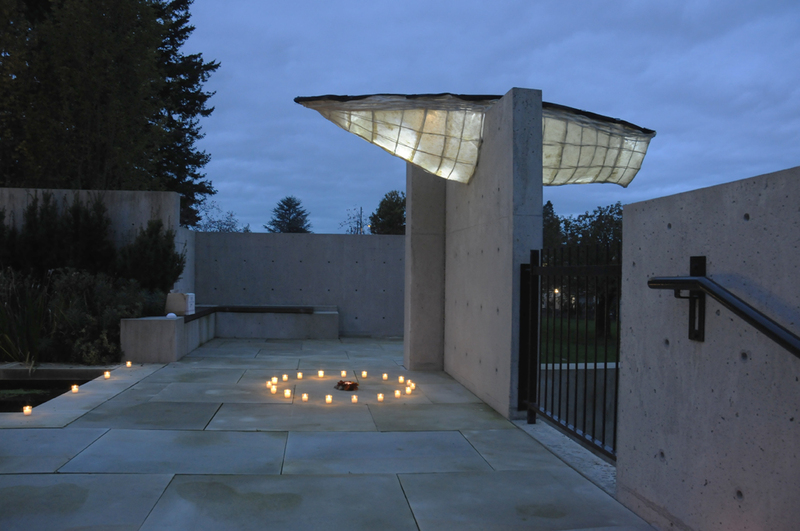 The site is filled with installations, candles, shrines and music in memory of those who have passed away. It is solemn and celebratory at the same time and touches just the right note to remember those we have lost. I have participated in the event 3 times and found it to be a very cathartic experience.